You know what you should eat if you go to Japan? Ramen, especially if you go in the Spring or Autumn (the best seasons to visit Japan, perhaps because they’re well suited to ramen). So what is it? A giant bowl of thick broth with noodles, sliced meat and other goodness. This article from the Guardian is a good introduction to Ramen, linking in particular to Ramen Tokyo, which seems a good place for English speaking seekers of the perfect Ramen restaurant to start. Ramen Tokyo links to Supleks, which is the Ramen database (in food, above all things, the Japanese are obsessives). Yes, it’s all in Japanese, but you can a) Use Google Chrome which will translate for you and b) learn a bit of Japanese. Ramen is worth it. 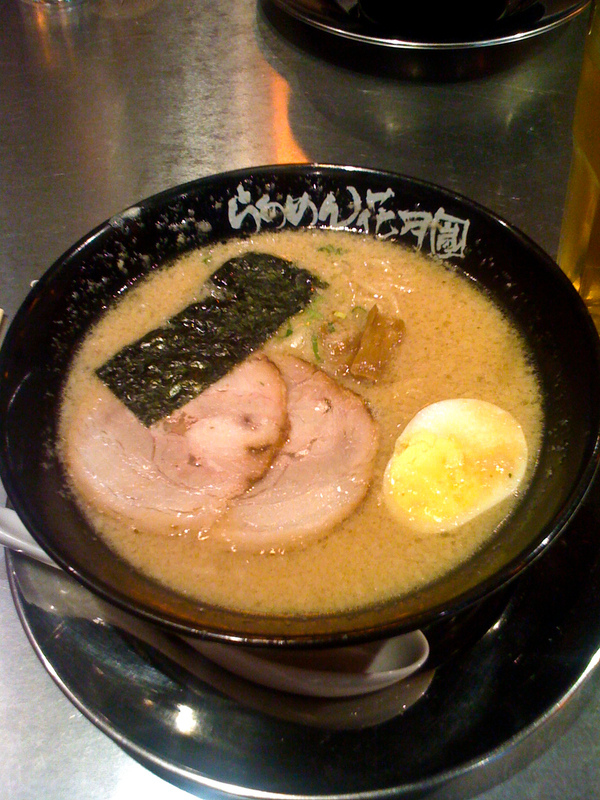 A couple of my favourite places for Ramen in Tokyo are the Ippudo chain, and Dokutsuya in Kichijoji. This entry was posted in Japanorama and tagged food, ramen. Bookmark the permalink.